A giant ship made entirely of Lego bricks which holds the record as the biggest of all time, shocked fans at a Lego convention. PIC BY KORAY EROL/ CATERS NEWS – Warren Elsmore and his colleague on the lego ship. 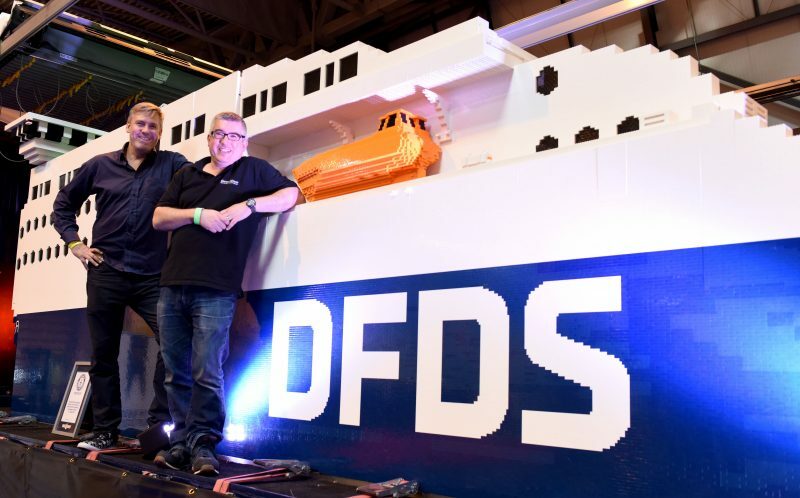 The ship, named Jubilee Seaways arrived at the National Exhibition Centre in Birmingham for Bricklive 2016. 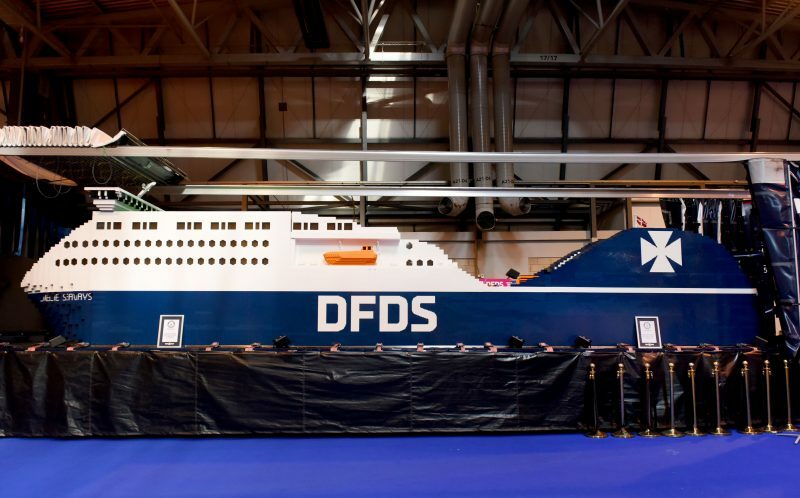 Northern Europe’s largest shipping and logistics company, DFDS, built a Lego version of one of their ships to celebrate their 150th anniversary. PIC BY KORAY EROL/ CATERS NEWS – The lego ship. Jubilee Seaways was designed by Jesper Aagesen, Head of New Building at DFDS, and was based on a futuristic concept, rather than being built to resemble one of their current ferries. DFDS called on 7,000 staff from 75 locations across 20 countries to help build thousands of big Lego bricks, made of 48 individual Lego bricks each. 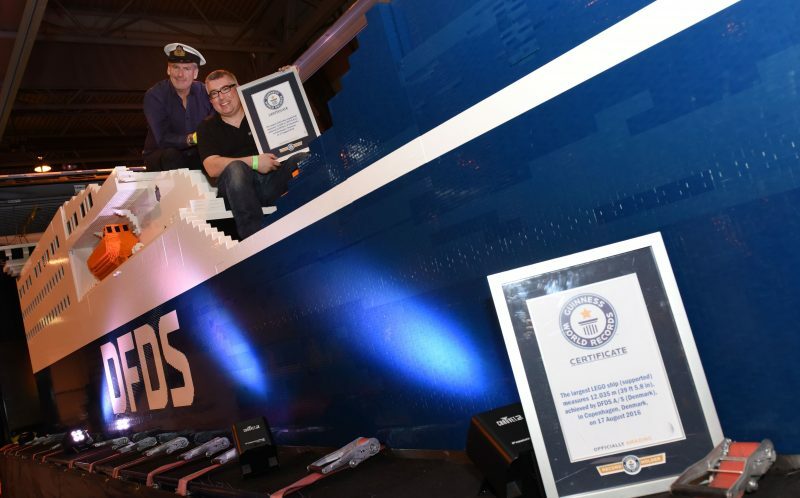 PIC BY KORAY EROL/ CATERS NEWS – Warren Elsmore and his colleague on the lego ship with their certificate. These big bricks were then used by Lego artist, Warren Elsmore and his team to create the magnificent ship. 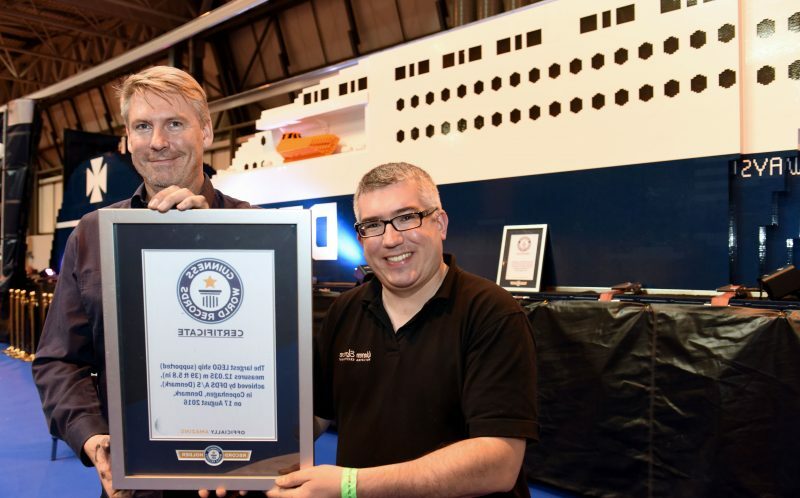 Bricklive welcomed the Guinness World Record holding boat at their event, where guests can play with over three million Lego bricks and meet fan builders from all over the world.